Paul H. Neuharth Jr. is a sole practitioner with exclusive and extensive experience in administrative and criminal law. Neuharth’s firm has been Martindale-Hubble AV-rated for 18 years. 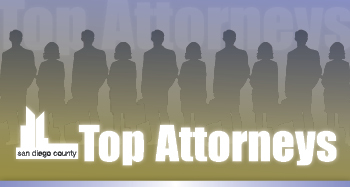 He is listed on the ATLA Top 100 Trial Lawyers for California (2008, 2009, 2010, 2011), Super Lawyers since 2010, and a Top Attorney in the Criminal Law category by The Daily Transcript (2010, 2011, 2013). Neuharth was a Califonia State Law Enforcement Officer from 1983 to 1990, receiving seven commendations and worked his way through his undergraduate and law school in that capacity. In addition, he served as vice-chairman of Unit 8 of the California State University Employees (1984-1989) and chairman of their bargaining committee from 1985-1989. Neuharth was an assistant professor of criminal law at San Diego Community College in the fall of 1990. In 2004, he lectured at Uppsala University in Sweden, for the International Association of Campus Law Enforcement Officials. He was a guest lecturer at the SDTLA Annual Drunk Driving Seminars (1992-1994), chairman of the SDTLA Criminal Law Seminars in 1994 and 1995, and was a guest lecturer for the California Department of Motor Vehicles in their training and retraining program for DMV hearing officers in 1994. He also lectured for the Judicial Council of California on DUI and DMV-related issues for their commissioner and judicial hearing officer training in May 1995. Neuharth continues to lecture annually for various legal organizations – including the La Jolla Bar Association, Criminal Defense Bar Association, Criminal Defense Lawyer’s Club and the San Diego County Public Defender’s -- throughout Southern California on DUI and DMV-related issues, and has for more than 20 years. He was a board member to the Peace Officer Research Association of California, San Diego and Imperial County from 1983 to 1989 and the San Diego County Defensive Tactics Instructor Association, and graduated from the FBI Defensive Tactics Academy in 1984. He also served as a Juvenile Hearing Officer Pro Tem for the San Diego Superior Court (1993-95). Member, La Jolla Bar Association (2008-current); Member, San Diego County Bar Association; State Bar of California, Criminal Defense Bar Association; Associate, American Inn of Court; National Association of Criminal Defense Lawyers; President, La Jolla Bar Association (2009); Life Member for National Association of Criminal Defense Lawyers. Neuharth spends his time between his cattle ranch in central Oregon where he relaxes and prepares for more difficult matters and offices in downtown San Diego.